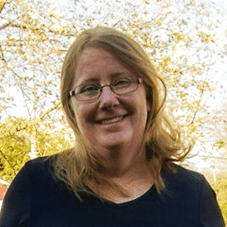 My son has a dairy allergy, so it can be tough on him when I make cookies and cakes. He is a teenager, so I figure he can just deal with the fact that he misses out, but I still want to make desserts he can eat once in a while! 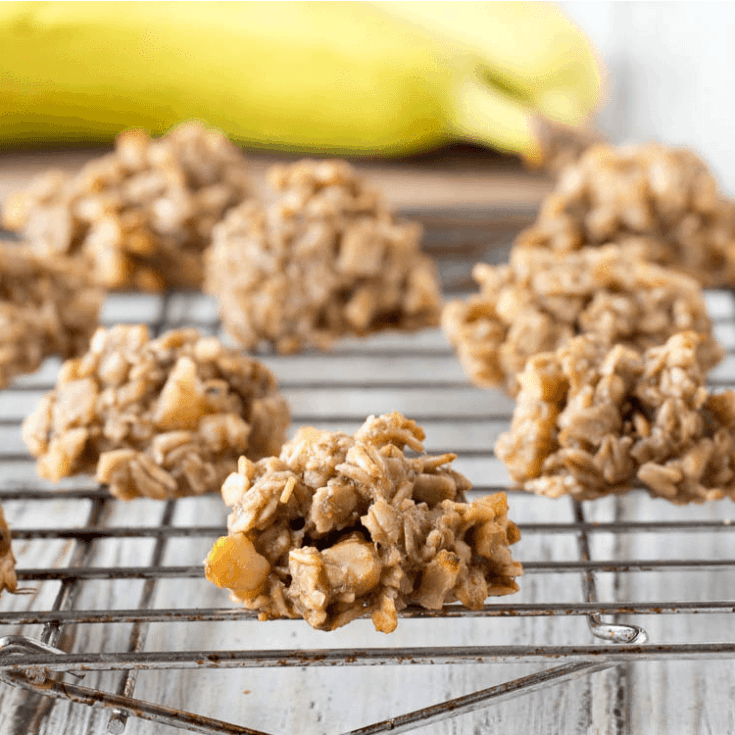 These banana cookies are great, because they are easy to make and he loves bananas. I based the recipe on cookies on the Betty Crocker website, although I changed the recipe up by adding banana chips instead of raisins. 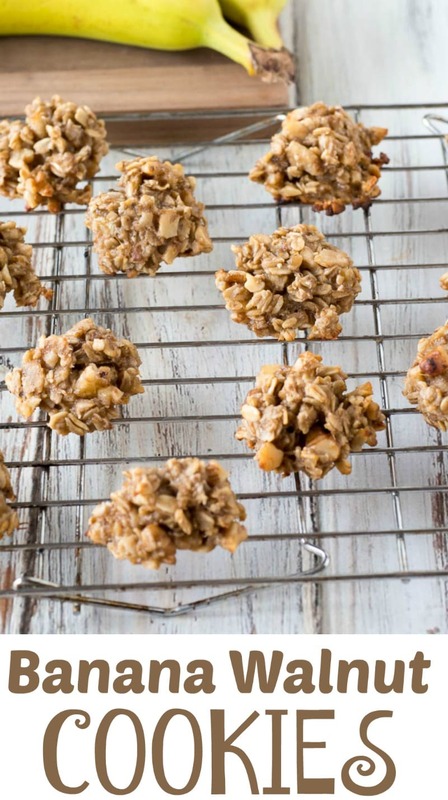 The result is cookies that are moist and crunchy, with a strong banana flavor. 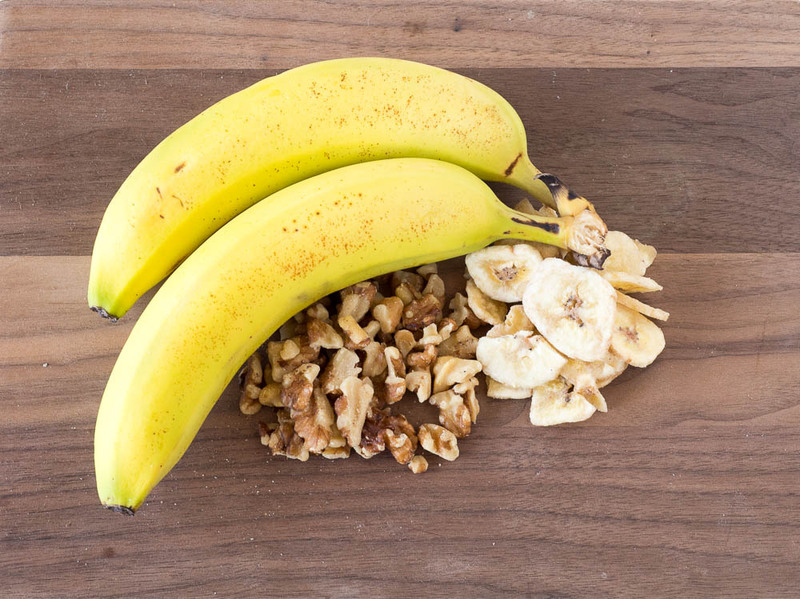 Chop the banana chips and walnuts into small pieces. I just used a butcher knife on a cutting board, but a food processor would work too. Mix banana chips, walnuts, oats and salt in one bowl. Mash 2-3 bananas in another bowl, and measure and keep mashing until you have 1 1/2 c. of banana. Stir the oil and vanilla into the mixture. Combine the wet and dry ingredients in one bowl and mix well. Let sit for about 15 minutes to soften the oats. While the batter sits preheat the oven to 350. 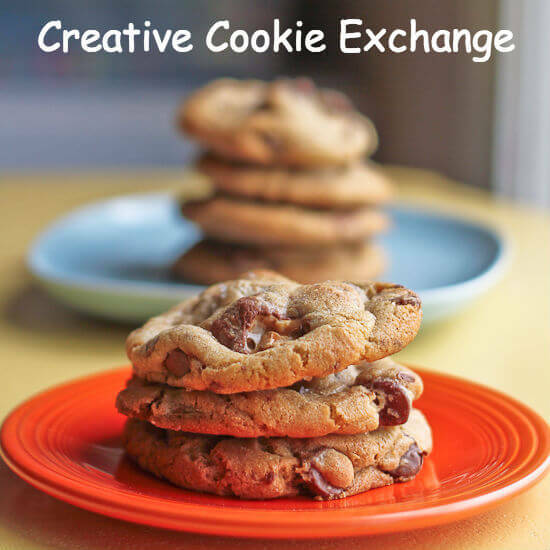 Drop by spoonfuls onto a cookie sheet, then bake for 15 minutes until light brown. Ah, two great minds that think alike! I love bananas and banana bread and just about anything with bananas. These cookies look delicious. I am going to have to hunt for banana chips – never knew there was such a thing. Those sound really tasty, and I love the idea of the banana chips! 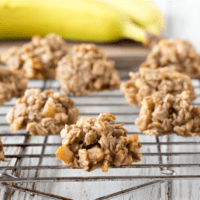 My kids love banana desserts–they would adore these! I have everything in the kitchen except for the banana chips. I wonder if I could try these without those? I would love these as an afternoon pick me up. I’ve got banana chips in the pantry that are begging for something like this! In a reverse of what you did though, I’ll probably substitute raisins for the nuts (nut hater). Or maybe go half nuts and half not, for the nut lovers in my life. These would be perfect for after school snacks! I would not mind my kids snacking on these, they sound so healthy!